The first Girl Scout cookie pre-sale has been successful. 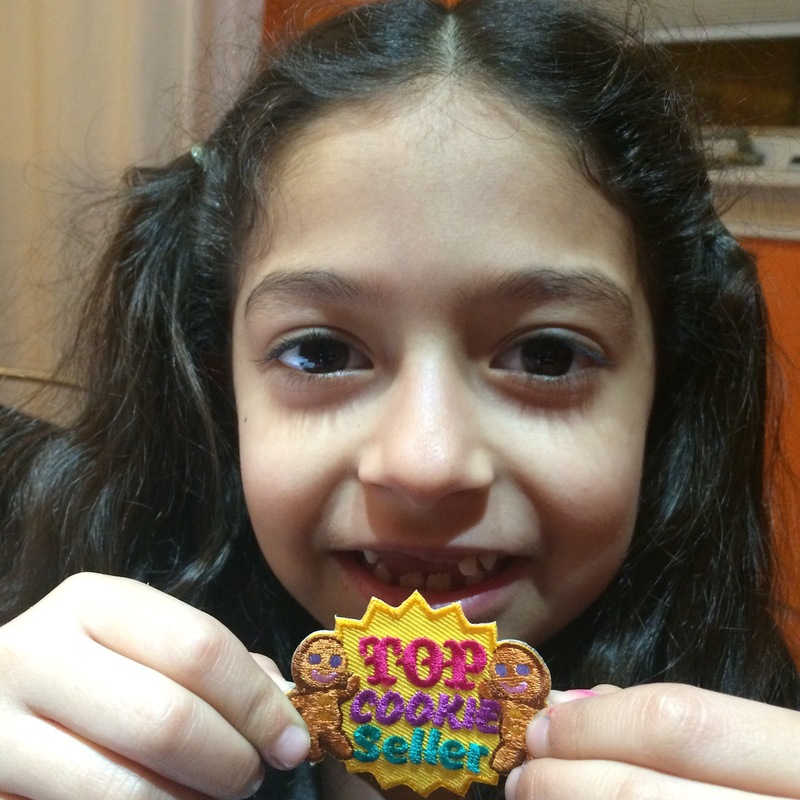 My Daisy was the top seller of her troop with 328 boxes sold. She seemed to have had lots of fun selling to friends and family. She was shy at first when selling but eventually she was a pro. So eager to ask anyone to buy cookies from her. She also made a video for Eric’s work selling her wares. That was a hit. Now that we have a successful pre-sale under our belts we think we can hit 400 boxes next year. The pressure it on!!!! We are still waiting for our cookie shipment. Only three more days!! !